Get In Contact- RRC are recruiting! We are a leading service provider requiring additional field based service engineers to join our ever growing team. 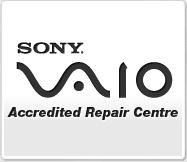 We cover all of the West Midlands repairing and maintaining Domestic appliances. We require competent and skilled engineers whose duties will include fault diagnosis and subsequent safe repair of various domestic appliances. This includes washing machines, cookers, fridges, freezers and dishwashers. A high level of competency is required to ensure minimal recalls and a high first-time fix rate. We expect a professional attitude along with a smart, presentable appearance along with confident customer skills. The ideal candidate would be competent in refrigeration but not essential. We are also looking for gas safe accredited engineers. Regional Repair Centre is looking for an experienced Brown Goods Field Engineer to work in a Busy Service Centre with varying levels of strict KPI and SLA requirements levied by our accounts and accredited manufacturers / insurance companies. The successful Applicant will need to demonstrate excellent fault finding and diagnostic analysis across a range of units including Plasma, LCD & LED TV's and be proficient in set up and installation issues to determine actual fault levels on site. Accurate and detailed descriptions, condition logs and uploading photos / repair documents must be done during every visit.